Gerard Belmont works as a "Directeur de Recherches" at the French CNRS for twenty years. He is a specialist of collisionless media, and their description through kinetic and fluid theories. Roland Grappin is Astronomer at the Paris Observatory since 1979. His scientific activity covers turbulence in fluids and plasmas, dynamics of the solar wind, corona and transition region. Fabrice Mottez is a scientist at the Paris Observatory. He has devoted his career to collisionless space plasmas, the terrestrial and Jovian magnetospheres, fundamental plasma physics, and numerical simulation. Filippo Pantellini is a scientist at the Paris Observatory. 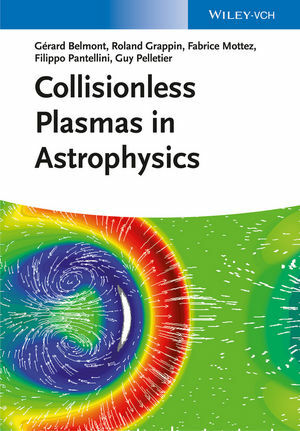 His main research fields cover the theoretical and numerical investigation of collisionless and weakly collisional space plasmas, with a particular interest for the solar wind and the solar corona.